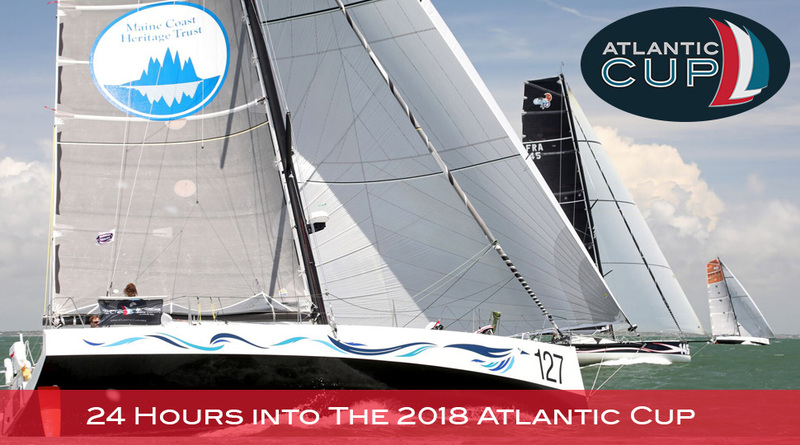 The first 24 hours of the 2018 Atlantic Cup have been intense. 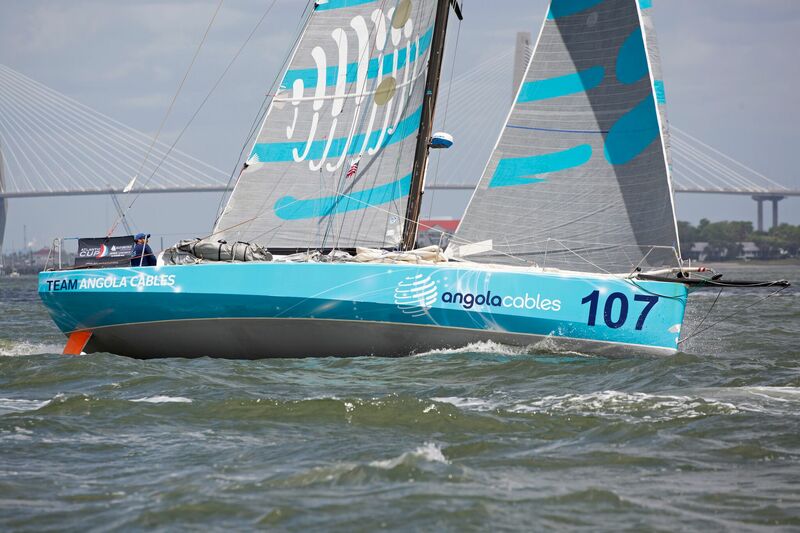 Since leaving the beautiful maritime city of Charleston, South Carolina, the 11 Class40s competing to cross the Angola Cables Finish Line in New York City have been positioning themselves throughout the racecourse. Relatively soon after the start it was evident to see the tactics each team was using. 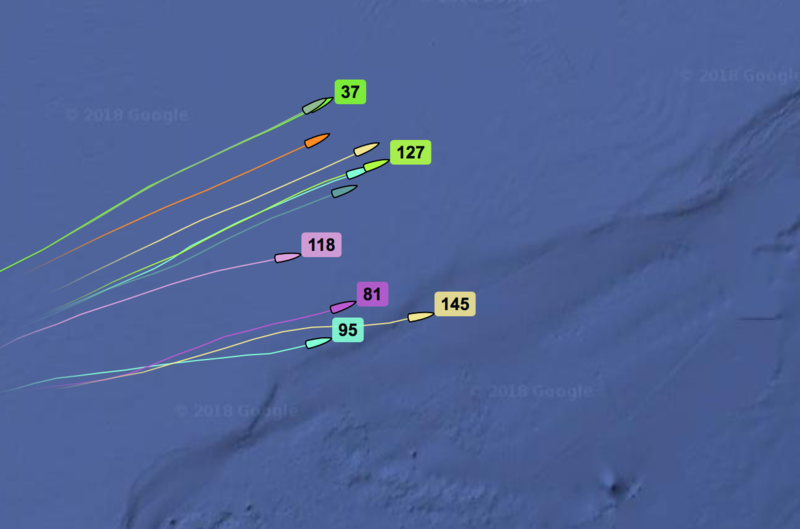 Three groups formed with #145 Eärendil, #81 Esprit Scout, #118 Oak cliff and #95 Talanta heading east and for the currents of the gulf stream. 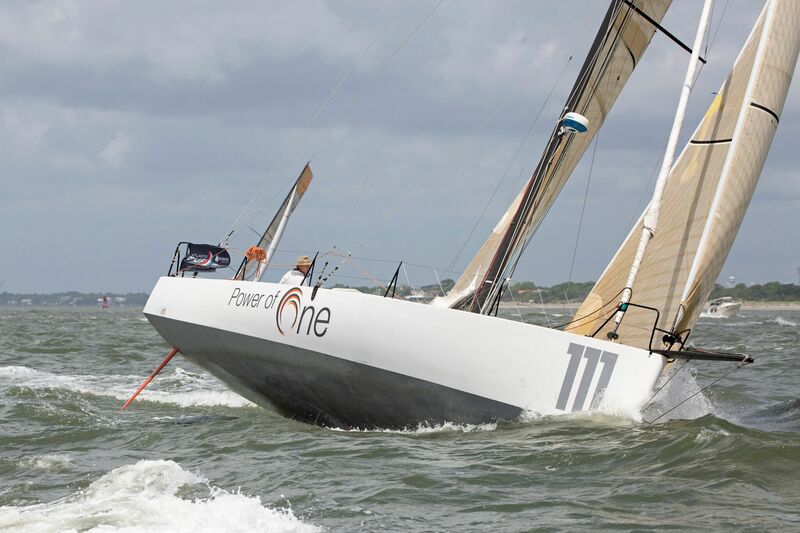 #37 First Light, #101 Power of One took the coastal route opting to sail fewer miles against those heading for the stream. This leaves the 3rd group positioned nicely between those to the east and those to their west. 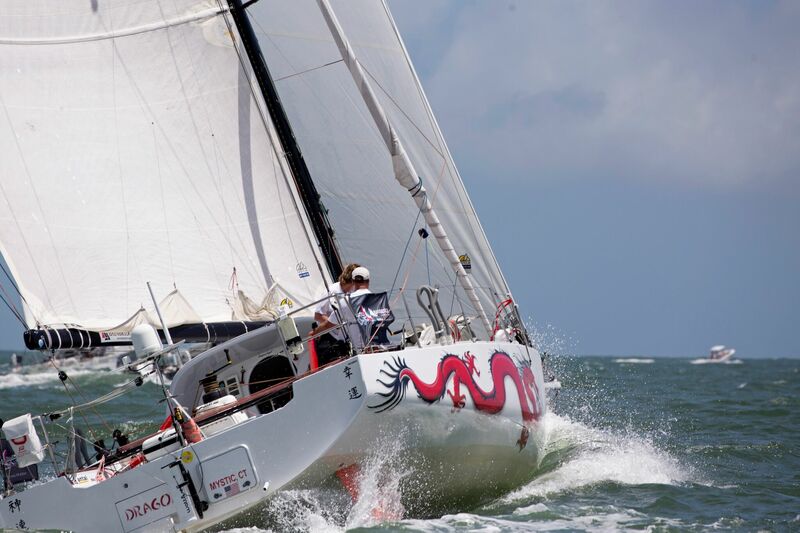 #128 Toothface and sister ship #127 Amhas are joined by #107 Angola Cables and #54 Dragon Ocean Racing. It looks as if these four teams currently own the race course’s prime real estate having made good VMG since the start. 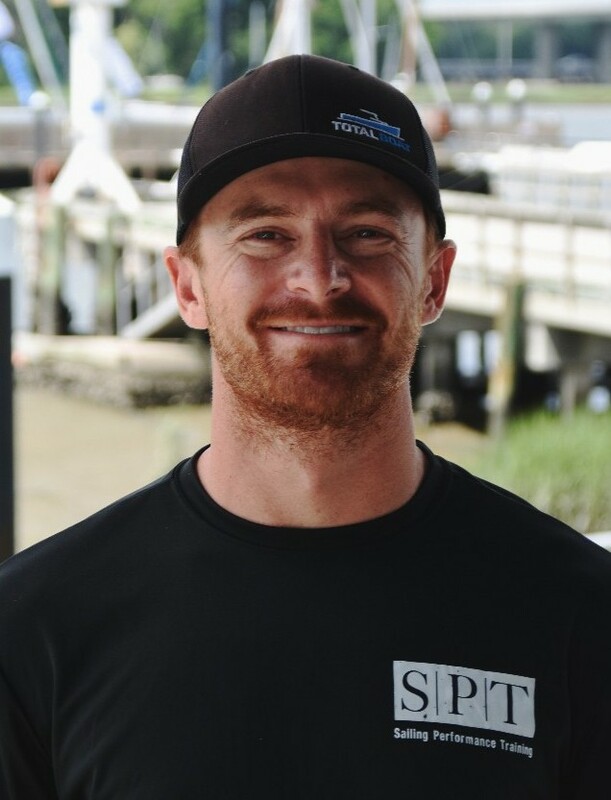 After speaking with Mike Hennessy onboard Dragon this morning he told us that they are currently experiencing a three knot push from the gulf stream. 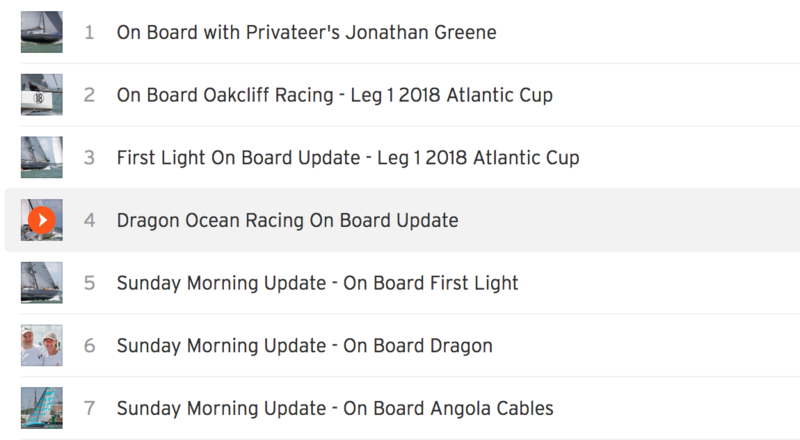 To listen to the full on board update from Dragon click HERE. 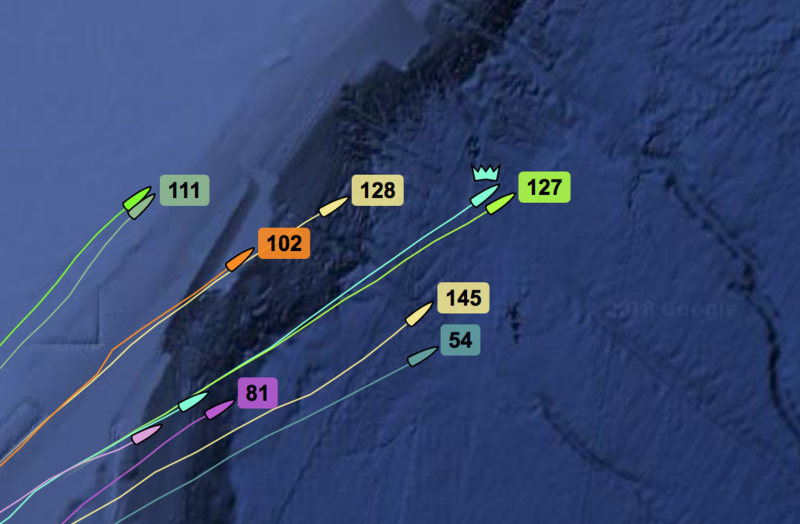 The race at the front the fleet is to close to call and a match race has developed between #127 Amhas and #107 Angola Cables. After speaking with Angola Cables they confirmed that they are just 200 meters from Amhas! To listen to their on board update, click HERE. Also noticeable is First Light sailed by Sam Fitzgerald and Fred Strammer. 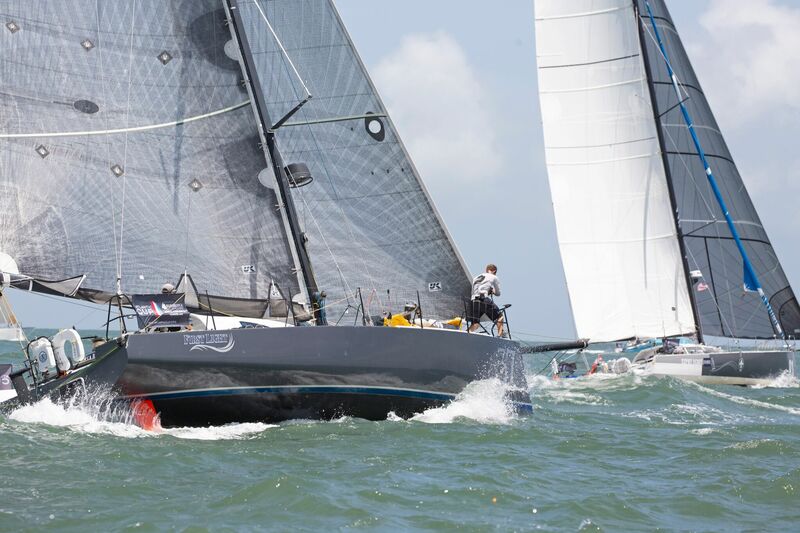 These Class40 rookies are holding their own in the oldest boat in the fleet! To listen to their on board update, click HERE. 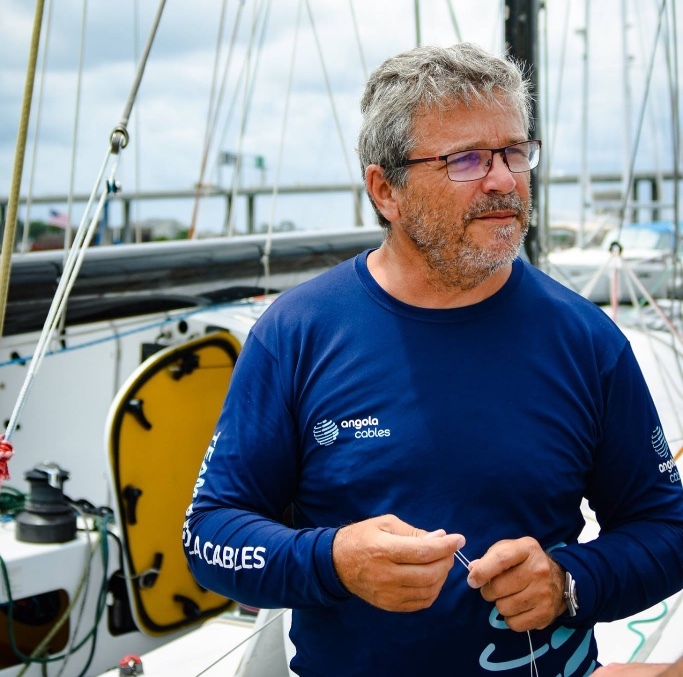 The question mark concerning the entire race is how the team will navigate through the light airs forecasted to arrive on the approach to New York as this will be a major factor in the determining the Leg One winner. The next 48-hours are going to be extremely trying on the teams as the racing is so very close. 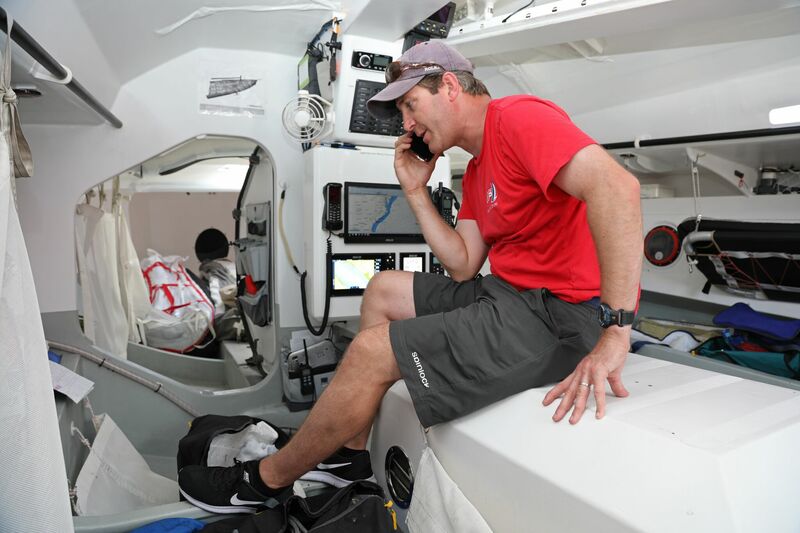 All teams will be working the boats hard providing little rest and as they approach just after the 24-hour mark, fatigue will begin to play it’s role. This is turning into a phenomenal race up the East Coast! Click Here For The Atlantic Cup Tracker! 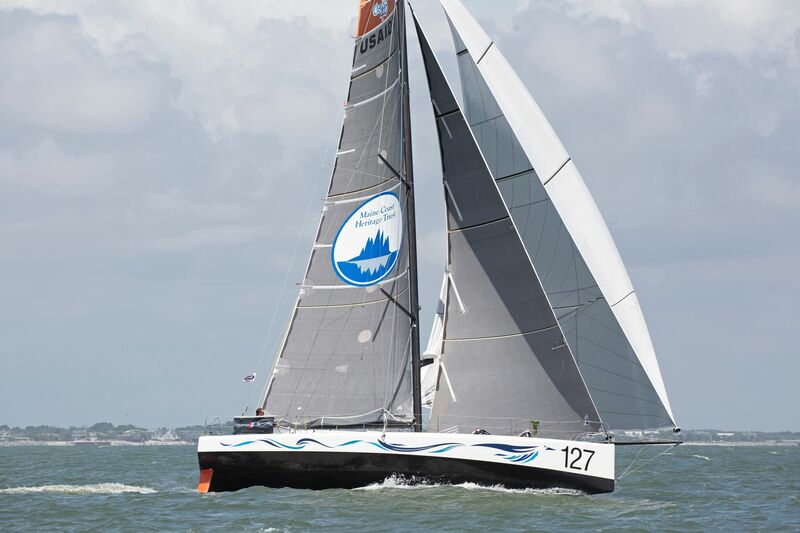 Listen To The Updates From On Board! We’ve been talking with the teams to get the inside look at what’s happening on the racecourse. Click HERE to take a listen to what they have to say! 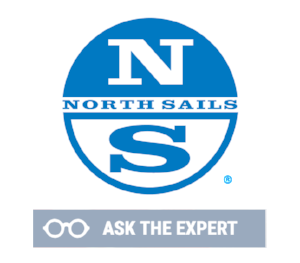 North Sails President and Atlantic Cup Race Expert, Ken Read, provides an overview of the fleet, “As anticipated the decision to go east for the Stream or stay close to the rhumb line has been crucial with the leaders for the most part heading just east of rhumb and putting in very few extra miles. In essence the leaders are letting the stream come to them rather than forcing in extra miles. Which means it is fun, fast sailing and my guess is that the sailors are having a ball so far. One thing that sticks out is the pair punching it out for the lead being quite close, which often results in short term gains due to concentration and having someone to spar with. But, that sometimes can also cause a bit more fatigue for short-handed teams as you tend to get out of your rhythm and press a little hard until fatigue takes over. With that said, Ahmas and Angola Cables have positioned themselves well to get to the Stream easily around Hattaras and get a bit of a sling shot around the boats to the west like Toothface and First Light. As always a massive thank you to Billy Black for capturing these terrific images from yesterday’s start!